– WHAT IS HAPPENING TO US? – WHAT COULD HAPPEN TO ETHIOPIA IF WE DO NOT CHANGE? – WHAT KIND OF COMMON VISION WILL BRING TRUTH, FREEDOM, ACCOUNTABILITY, RECONCILIATION AND JUSTICE FOR ALL OF US? – WHAT CAN BE DONE IN THE CURRENT CRISIS? – IS IT A MATTER OF HEART—CONSCIENCE, HUMILITY AND WILL? Why have so many students at our universities, soccer fans and civilians been killed or wounded these past weeks and months because of the increasing climate of ethnic hate that exists and is spreading across our country? Those recently being mourned by their families, friends and communities were allegedly targeted based on ethnicity, whether Tigray, Oromo, Amhara or Somali. This hate did not come out of nowhere; but, to a significant degree, is a toxic byproduct of Ethnic Federalism and the TPLF efforts to divide and conquer the majority to enable them, a minority, to maintain power; yet, it appears to be worsening daily and may become uncontrollable. Has the “beast of ethnic hatred” finally burst out of containment to threaten all of us, like a contagious disease that infects others exponentially? What are the solutions? Pretending it does not exist or that it is the responsibility of someone else to fix it, will not work. It is a problem that cannot be solved by one group, because although ethnic hatred may have been advanced by the TPLF, it would not have worked so well for 26 years without a high degree of cooperation from the majority. Therefore, we cannot stand by, with pointed fingers at others, without considering how we may have not done enough or even helped open the door to this formidable threat that now belongs to all of us—whether we like it or not! Who are the next perpetrators and victims? Someone avenging the death of an innocent victim from their own ethnic group by claiming the life of another innocent victim from an “enemy” group? Will our children or loved ones number among the victims or the perpetrators? Will it be the TPLF’s security forces killing “ethnically identified” opponents for protesting the murder of a previous victim? Do we collectively hate all people from one or another group because of what some have done? Are our hearts hardened toward others so we devalue their lives? Do we secretly or openly want others, including innocent victims, to suffer revenge killings based on ethnicity? Where does it stop once on that path? What has happened to us? Is this who we want to be as a society? WHAT COULD HAPPEN TO ETHIOPIA IF WE DO NOT CHANGE? It is nearly impossible to keep up with details on all the ethnic-based killings and attacks being carried out in the country. It is especially difficult to follow the sequence of related killings because one killing leads to another and that one to another and so on in a chain of revenge killings. We have seen examples of this over the last months, resulting in violence, killings and unrest at many universities throughout the Oromo, Amhara and Tigray regions of the country. Students and civilians carried some of the killings out; but the majority were at the hands of federal security forces, like at Chelenko where they shot and killed eighteen students in the head for protesting other killings. What we may be seeing is a fear-based, panic-stricken reaction from TPLF headquarters and security forces on the ground to the rising resistance; however, these brutal tactics are inciting a backlash that could trigger a bigger, more unified movement of resistance. Students no longer feel safe at these universities. The Minister of Education has acknowledged the possible danger to the students and as a result, eighteen universities in the Oromia and Amhara regions have been closed. Tigrayan students previously attending these schools were escorted to their own region by federal security agents. On the other hand, Tigrayan universities remain open and non-Tigrayan students attending these schools have been under pressure to remain; allegedly, because their departure or the closing of the schools would be a sign of weakness, showing the government to be out of control in their own region. In response to some of the recent violence, thousands of mothers publicly protested in the streets last week against the killings and brutal atrocities committed to their sons and daughters. This week, many former students, dressed in black in the Oromia region are doing the same in amazing displays of peaceful protest. Sadly, the future looks very grim if Ethiopian young people are unable to safely attend schools and universities for fear of being killed by each other or by security forces for no reason other than ethnicity. As a result, these protests are continuing in many locations in Oromia, perhaps until meaningful change comes. The same problem exists now whenever a soccer tournament is played where players from Tigrayan background participate. Rising ethnic tensions among Tigrayan, Amhara and Oromo soccer fans have turned into deadly violence related to the intermingling of ethnicities at these competitive sporting events. It has come to the sad point that the only way it is safe to compete is if the teams from Tigray do not participate. Why are we passing ethnic hatred to the next generation, only to be played out by our youth in a deadly game? Will our youth, especially in Tigray, increasingly become prisoners of their own regions or communities, afraid to venture out into the world without protection, as anger is stirred up on all sides? Are they judged guilty only because they were born in this region or because they are the same ethnicity as the TPLF regime? They may totally disagree with what the TPLF is doing, but still face danger from others—outsiders— based on their ethnicity, not on their viewpoint or lack of understanding. Many are still young and have been “protected” from hearing or seeing the reality of life for those from other groups. In fact, if you check out the pro-TPLF websites [like TigraiOnline, AigaForum and others], the social media and comments given by many; you will see a vacuum of information and perspective from any viewpoint other than the TPLF’s. As animosity grows, will they and others, including ourselves, become prisoners of our own tribal worlds? This is intolerable, but as the “beast of ethnic hatred” expands its “territory,” it is inevitable that our own territory will diminish. What could happen to sporting events, educational institutions, and our economy in Ethiopia if we Ethiopians cannot safely intermingle? We join in condemning this barbaric and inhumane treatment of any of our fellow Ethiopian people by our own people; yet, no one should be surprised by the transference of years of purposely cultivated ethnic division and hatred to our youth. This should be an unsettling warning to us as it gets more and more out of control. What could happen to our lives as Ethiopians if we do not set our sights on change? In the past week, some sixty or more Ethiopians were killed in Eastern Ethiopia, resulting in the deaths of Ethiopian Somalis and Oromo. Allegedly, some of the perpetrators were armed men, with Ethiopian Somali killing the Oromo and vice versa. Other alleged perpetrators were members of the Ethiopian military or the Somali Paramilitary (Liyu Police). This comes following a mass killing of up to 200 persons in October 2017, allegedly committed by both Ethiopian Somali and Oromo police or security forces of the opposite ethnicity. Sadly, this happened despite the fact that people of these two different ethnicities have lived mostly peacefully, in close proximity to each other for many years, with numerous persons intermarrying. The October massacre led to the displacement of over 700,000 people [government estimates] who have not yet returned. A thorough and transparent investigation has not yet been completed. This is all happening at a time when the international community is so preoccupied with multiple crises throughout the world that no one has hardly noticed what is going on in Ethiopia. Nearly ten years ago, in 2008, the International Crisis Group warned that Ethiopia was a ticking bomb that could explode due to ethnic policies and favoritism towards the ruling party’s own ethnic group. Unfortunately, the crisis has deepened rather than been resolved, requiring swift action on the part of Ethiopians. This deadly crisis must be faced, but whether or not we Ethiopians will succeed depends if we are able to join in agreement about a common vision. As already emphasized, one group cannot do it alone, for the kind of change we need requires widespread participation in a shared common vision that can be integrated into the fabric of our society. Yet, it is the substance of that worldview or ideology that forms the common vision that will determine whether its outcome will be better, no different or worse than what we now have. Hitler, Stalin, Mussolini, Mengistu and Meles all had varying ideologies that engaged the people in a common vision for a period of time; but they were dangerous and led to the destruction of many. There are many examples— good, bad and in-between. Let us consider what is important to preserve or discard so our common vision will benefit all Ethiopians. WHAT IS THE FOUNDATION FOR A COMMON VISION THAT IS MOST LIKELY TO STOP THE SPREAD OF ETHNIC HATRED AND VIOLENCE? Foundational to any vision is how we view others. Do we believe our own tribe, group, ethnicity or other sectarian group should be favored over others; perhaps justifying it based on suffering past grievances? Do we really think that we should benefit above others because now “it’s our turn to eat,” as the African saying goes? Competition for power for ethnic-based self-benefit at the exclusion of others is what we now have. How is it working? In a country of over eighty ethnicities, how inclusive are the benefits? How fair is our justice system? How equitable are opportunities distributed or accessed? Who decides the value of the life of another human being? Is it God-given to every human being or do we set up ourselves or trust in some charismatic or ambitious leader to decide on a person’s worth based on our or his or her opinions and judgements? Do we decide based on someone’s ethnicity, gender, age, language, region, religion, political view, education, family connections, elitism, or money? Is it based on whether or not that person or group of persons is useful to me or my group— only to be discarded or trampled on once we no longer need them? How about if those persons are sitting on valuable land or resources and they obstruct access to what I or my group wants? How do I measure their value when I want what they have? Do they then become expendable until I need them the next time? How we answer these questions will determine the outcome of this battle against the beast of ethnic hatred, which most often is fueled by greed, ambition, self-interest and self-preservation. No wonder everything is covered up with deception and speaking the truth is ruthlessly suppressed. Where is the transparency and accountability that helps monitor justice? Where are the robust institutions that should hold all of us responsible when my and your self-interest violate the rule of law or threaten the well being of others, whether minority or majority ethnic groups? No society is ever without flaws, because each of us is part of it; but yet, we can do better to hold ourselves, others, our institutions and our government more accountable to replace ethnic hatred— deeply entrenched in our current system— with a high view of the humanity of every Ethiopian. No one can be left out here. It must include Tigrayans, Amhara, Oromo, Somali and the eighty or more other ethnicities in our country. Now is the time to urgently pursue a new paradigm based on principles of valuing the rights, dignity and worth of all humanity, especially our fellow Ethiopians with whom we share a country— putting humanity before ethnicity or any other difference. We also must hold each other more accountable—in a country with little to no accountability—until it becomes deeply entrenched as a foundational value within Ethiopian society. Truth will be essential wherever deception and darkness have fed the beast of ethnic hatred and the ambition that often accompanies it. As TPLF and their region’s power and control are challenged by the mounting hostility against them from the majority of Ethiopians, as well as internally from other parts of the EPRDF, the people of Tigray face increased alienation and isolation. The misguided vision of the TPLF has backfired and is already restricting their freedom of movement within their own country for “No one is free until all are free,” as oppression incites an opposition. The TPLF should be seeking a way out of the corner they have constructed themselves. 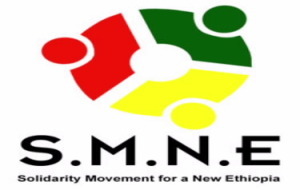 The TPLF and the larger coalition of the EPRDF have alternatives; however, each alternative taken will produce different results.We do not want a remake of the same model under a different ethnic name, whether a majority ethnic group or a coalition of minority groups. Neither do we want leaders who merely seek power. We want servant leaders, from the federal to the regional to the local levels who seek a new paradigm that can benefit all the people of Ethiopia. Can truth, reconciliation and justice all join hands to strengthen our people at the local, regional and federal levels, enabling them to find meaningful and just solutions through earnest dialogue? Let us talk to each other, face to face, rather than talk about each other. In light of that, let us go forward to convene, dialogue, and develop a transitional plan for the short-term that reduces that hostility towards one another rather than intensifies it. Once accomplished, we can begin work on long-term goals to create a healthier, more equitable and more well-functioning Ethiopia. One recent approach to finding a practical solution to ethnic conflict that could be replicated was taken by our Ethiopian Somali and Oromo brothers and sisters in Minnesota. In a previous article following the horrific killings of Ethiopian Somali and Oromo two months ago and in personal conversations with leaders, we encouraged these communities in Minnesota to meet to work out a plan of action that could lead to greater peace and reconciliation in Minnesota and Ethiopia. They have done exactly that with diligence, wisdom and respect for each other and this past week have made public their resolutions. They did it by coming together to talk with each other; and together, to find shared solutions, which they now will do their best to implement.We congratulate them and hope others will follow suit. WHAT CAN BE DONE IN THE CURRENT CRISIS? Unquestionably, the power and control the TPLF confidently assumed was perpetually theirs is being challenged as never before. In fact, it appears to be crumbling before our eyes as other members of the EPRDF now demand accountability and correction from the TPLF for the many recent killings and past injustices affecting other members of the EPRDF, like in the Oromia and Amhara federal states. The TPLF sought to bring these issues before the Ethiopian Parliament, which was quickly rejected by others at a recent EPRDF Executive Committee meeting as an attempt to change the focus and stakeholders; however, other Ethiopians may soon join in this new effort to confront the TPLF with the serious inequities and repressive nature of the regime. Now, there are rumors that the TPLF is trying reach out to the minorities, like those in the Ethiopian Somali, Gambela, Benishangul-Gumuz, and Afar regions, the hoping to bribe them to join with the TPLF to stand up with them against the Oromo and Amhara by promising to release all their political prisoners. This is a plan for the TPLF to stay in power; not a plan to empower and include these minorities. As soon as these minority groups are no longer useful or if they make too many demands on the TPLF for equality, they maybe easily discarded. Yet, who says the TPLF would get what they wanted once all these political prisoners were released? It could easily backfire. We personally reject any cooperation with the TPLF that would prolong their illegitimate hold on power and the brutality, injustice and robbery being perpetrated on other Ethiopians. The relentless pursuit of correction, by all stakeholders, to address all sectors, levels and components of the current system, replacing what is broken with what is true, right, just and good. The convening of a mutually-agreed upon and inclusive national dialogue to address issues of importance, including the formation of a transitional government, security issues, national reconciliation, restorative justice and other immediate needs. The cessation of killing, violence and destruction with the immediate development of a localized, regional and federal plan to ensure safety and security throughout the country. This would include the promotion of intervention and remedies by local and regional communities, elders, religious leaders and others in efforts to minimize conflict and to promote reconciliation and the peaceful resolution of conflicts. IS IT A MATTER OF HEART—CONSCIENCE, HUMILITY AND WILL? The alternatives for handling this crisis are not equal. More killing and violence will set the stage for serial killing and violence and all parties should refrain from such actions. We must look at ourselves and our groups. We can know we are in the wrong, but still deny it, cover it up or justify it because we do not want to change. Right now, that position may upend our country, making it all the more critical to reconsider our positions, starting at the top levels of power and going to the grassroots level. This should be a time for conscience to lead us to do what is right, true and good. It will require humility to examine ourselves and our assumptions about self and others. It is a time to see the pain and needs of not only ourselves, but also of others so as to re-think our positions that may be self-centered, ethnic-centered or both. This takes a lot of humility. If we have erred, we should be quick to admit it and to make changes. This also requires moral strength and courage. Those who do this will be the leaders who can show the better way out of this crisis to others. In a historically religious country like Ethiopia, most know that religious practice is different from truly living out one’s faith with heart. Are we missing what is God’s best because we have hardened our hearts towards others or what is right? The transformation of hearts can create hope in hopeless situations. It can create “fountains in the desert,” achieving far more than anyone could achieve by other means, including force. May God soften our hearts and help each of us to listen better to our consciences about the way we view, treat and respect the rights of others. May He show us where we are devaluing others, where we are deceitfully misusing these others for our own selfish purposes or survival, or where our attitudes, actions and influence are contributing to ethnic hatred, divisions or favoritism of some over others. May we do our part and may God help us shape a common vision that will bless all the people of Ethiopia and beyond. I am appealing to each of you to forward it to all your friends. If you do, you will not just be giving a voice to our beautiful people, but you would be doing justice to our humanity. Knowing the truth is overcoming the first obstacle to freedom! Thanks so much for your never-ending support. Don’t give up. Keep your focus on the bigger picture and reach out to others and listen! Care about those who are suffering. Think about our family of Ethiopians and humanity throughout the world—they are YOU! There is no “us” or “them.” This is at the heart of the SMNE.